We went to our nephew's birthday party on Saturday. 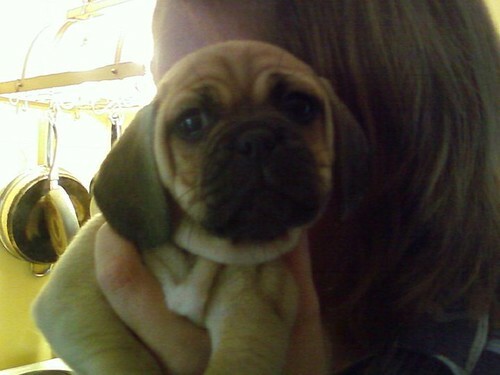 They had 8 puggle puppies (pug/beagle mix). Dehlia came to me, put her head on her foot, and gave me a puppy look that just melted my heart. She came home with us. 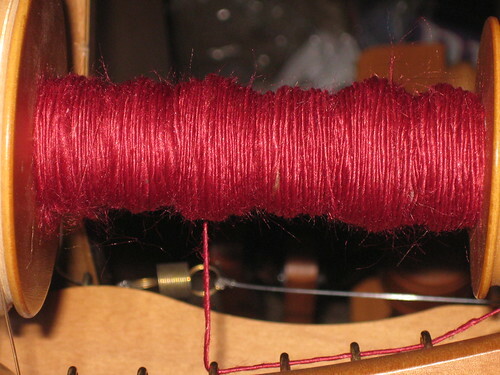 I also got some spinning done while I was in between super secret knitting. 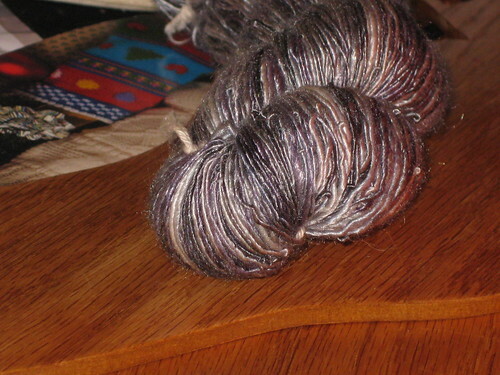 The first is merino/tencel laceweight singles; 2.7 oz/348 yds. Dyed by Highland Handmades. The second is Ruby Red rayon (bamboo) by SWTC. The rayon is super slippery and sheds! Also, I got a couple of wonderful gifts. 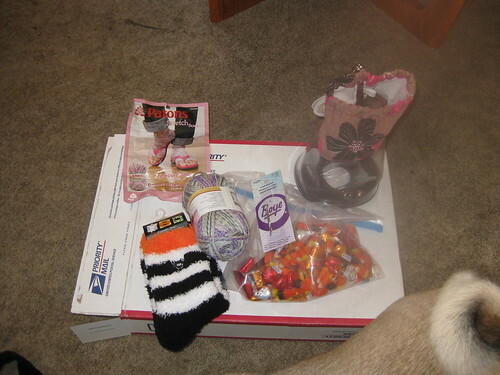 First is from rwest81, as a thank you for her orchid socks. 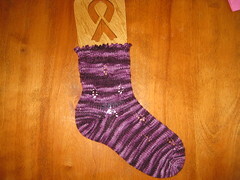 Tofutsies in a wonderful green/purple, a free pattern, candy corn (YUM! ), a great little travel knitting bag, darning needles, and squooshey socks I had to steal back from DD. 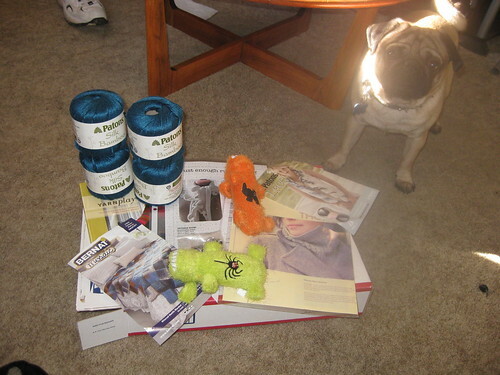 Second, is another pug swap, this from shorty3boys. Bert loves his toys, and the yarn is so yummy. The patterns are wonderful! I loved the stitch markers too, they're just amazing.